Information visualization is concerned with the symbolic languages of charts, maps, and diagrams. Its underlying data are also symbolic representations: the results of processes encoding traces and events. At the same time, traces such as tree rings, fingerprints, or ice core samples are also visualizations that we can directly experience. The symposium explores the physical trace and its role for making sense of the world. We will investigate the different scientific, aesthetic, and rhetoric techniques for making traces “speak.” In Charles Sanders Peirce’s semiology, indexicality refers to the causal connection between an object and its effects in the real world: dyed bacterial cultures in a petri dish, the chemical signatures of pollutants in the environment, the wear on the pages of a book. Indexicality connects the abstract domain of information with bodily experience. Like data, traces are often assumed as being “given,” but again, like data, they are constructed through measurement. How we perceive traces is a result of how we frame them. 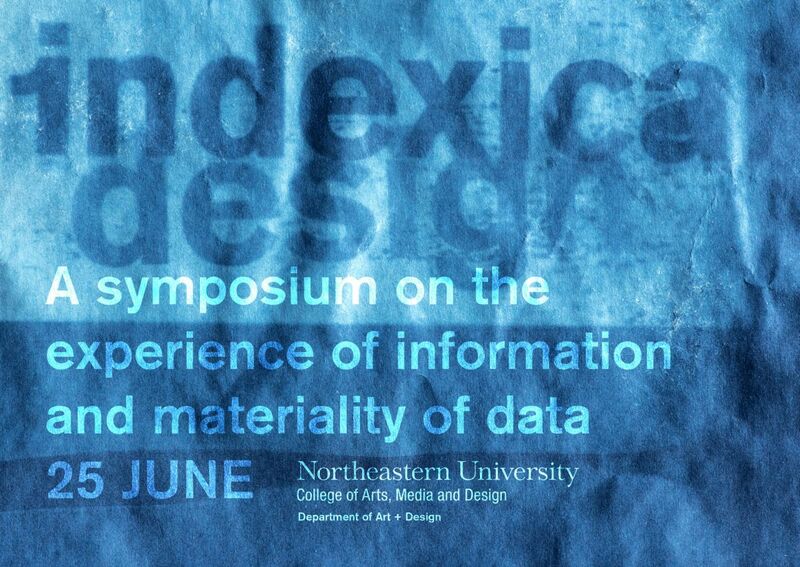 The symposium proposes “Indexical Design” as a new paradigm for data visualization that is specifically relevant for fields that deal with traces, markers, and indices; fields such as microbiology, forensics, or citizen science. Indexical design addresses the difference between data and evidence. We will bring together experts from these and other fields to investigate the physical manifestations of information and discuss the role of design in framing how these traces speak to us.